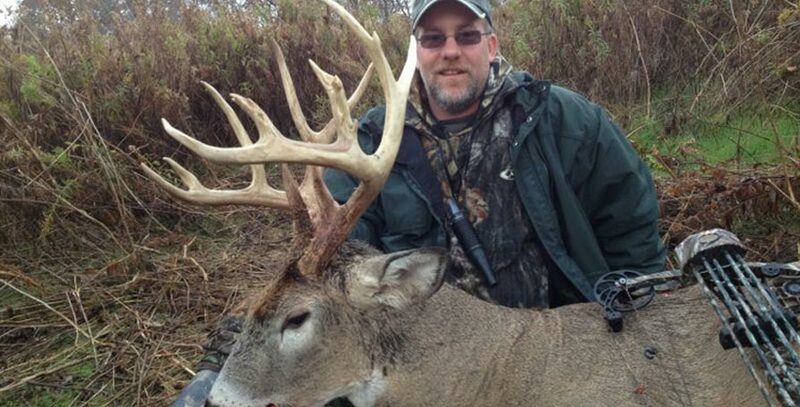 Steve Phelps has mastered the art of scouting Illinois. 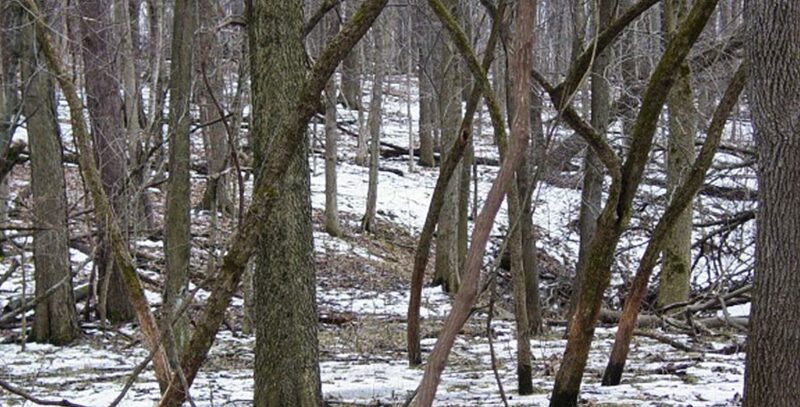 Deer Scouting is a skill that is learned after many seasons in the field hunting, and guiding hunts for Trophy Bucks. It starts each year with pre season scouting and really never ends. Steve, and the guides at ITB are always on the lookout for deer movement and sign. When you book a hunt with ITB, rest assured that our guides have the deer scouting covered. Here is what Steve Phelps has to say about the importance of Illinois Scouting. At ITB we manage the hunting on over 20 farms across 100 square miles, and have over 20 years experience. Our success bow hunting in Illinois begins with leasing the best farms. 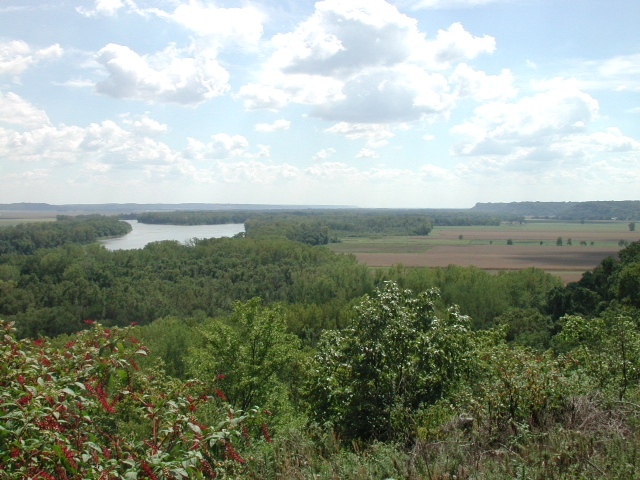 Often we lease a farm near a no hunting refuge, such as a city or state park. We try and lease farms of 600 to 1200 acres, so that the majority of bucks that are 1-2 years of age will survive and become 3-4 year old bucks. To accomplish this, we enforce a minimum size requirement of 125 inch P&Y. Leasing the best farms is my job. I have lived in Illinois all my life and I only lease farms in some of the best counties. The process of leasing a farm begins with knowledge. When I hike a farm for the first time, I have already studied the aerial photos for details and noted the topography, the woods, nearby rivers, creeks, and ponds. This gives me an idea of the best funnels and tree stand sites before I step foot on that farm. In addition, I usually have prior knowledge of big bucks from that area. I listen for details anytime I hear of a road kill of a 200 class whitetail, or of a successful hunter taking a 200 class buck. It is a rewarding feeling for me, to select the best tree stand sites on 1000 acre farm just from an aerial photo, then hike the property for the first time and see if I was right. There are usually some stand sites that are great, but only hiking that farm will reveal it. When I find 10 rubs on trees 6-14 inches in diameter, all on the same ridge I know I have a good farm! One criteria for me to lease a farm is there should be a good number of rubs on trees 4 inches in diameter and bigger. The bigger the better! I have hiked farms the first time and seen about 100 rubs over 4 inches in diameter, with some 10-15 inch rubs. These big rubs confirm a property has not been over hunted. If I see no rubs over ½ inch in diameter on 1000 acre farm, I am ready to leave that place forever. It has been over hunted! It would take 3-5 years to make it good. I start with good farms, and in 3-5 years they should be great! 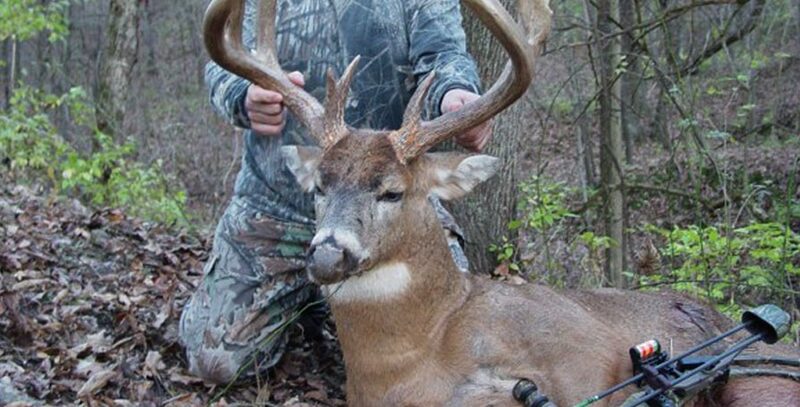 Large scrapes, over 5 feet in diameter, are also a good sign of trophy whitetails in the area. When we find these big rubs and scrapes, we focus on them early by hunting them hard. I also want farms to have a certain amount of thickets. The thicker the better! Nothing spells trophy whitetail to me more than 50 year old pastures that have not seen cattle for 50 years. They become a jungle of locust trees, hedge apple, multi-floral rose bushes and briars. These kinds of thickets will smell like rutting bucks in Nov as you approach them. Hunting pressure on neighboring properties is so important. A presence of big rubs and big scrapes is an indication that our neighbors are not overhunting their farms. An absence of big buck sign makes me think that there might be a problem. ITB’s guides will finalize the network of tree stands, and spend just as much time determining the routes the hunters will take in and out of these stands, to minimize the disturbance to the deer herd. They will focus on the prevailing and best winds per stand location. With large farms, we have more options to play the wind. The large farms can usually allow for access to most stands from any wind direction. One of our objectives at ITB is to try and only hunt half the farm. We do not want to hunt the other half. We define internal refuges or sanctuaries, which are usually the best bedding areas, and we stay out of there, until the month of March. 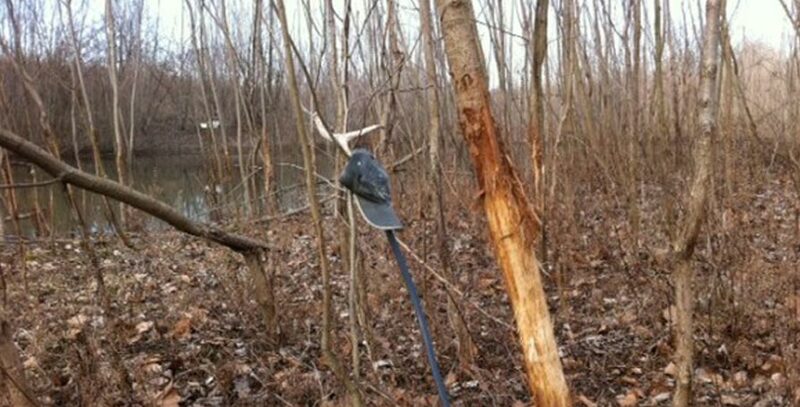 In March we will cover the whole farm to pick up shed antlers and do our preseason scouting. It takes me 6 weeks to hunt sheds on 20 farms…hey, it’s a job! Keeping half the farm undisturbed will insure that if we don’t take the best bucks, we will not run them off the property. We know we accomplish this when the 3rd week bow hunters tell us of sightings on these bucks, and of course when they take them! So this is one of the most important parts of my job, but the best part is seeing the faces on our hunters who just took the best buck of their lifetime!